The Silence Meal hosted by the finnish artist Nina Backman is a performative dining experience and an integral part of the Silence Project and its corresponding ongoing exhibition programme. 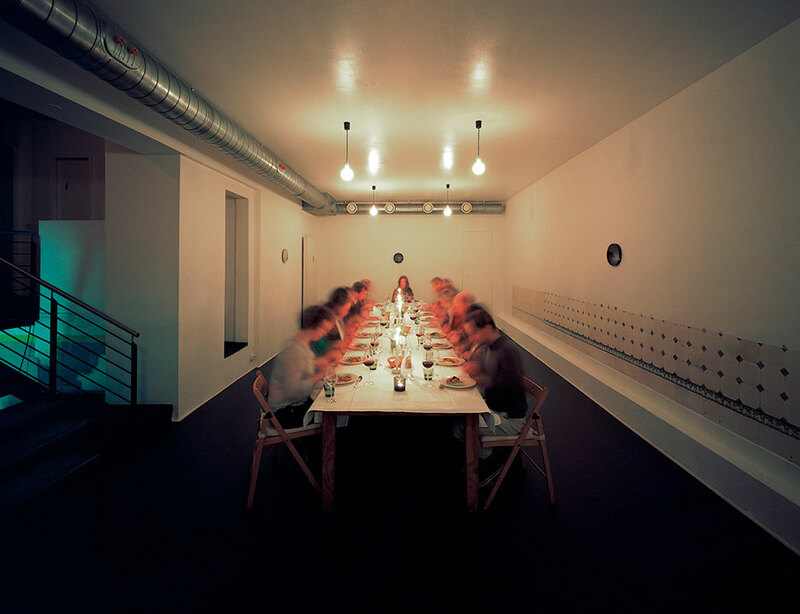 Guests at a Silence Meal are seated at a long dinner table in a quiet room and are provided with a meal that is then held in silence. The Silence Meal is yet another step in a series of experiments revolving around senses and urban space. It is an exercise in meditative contemplation. A moment to be with one’s own voice in the presence of others, yet away from the distractions that have come to influence and change our habits in recent times. When dimming down verbal communication the experience of an otherwise familiar activity changes fundamentally. Zagreus Project functions as a gallery and gastronomic space. Chef, gallery owner and curator Ulrich Krauss organizes exhibitions in relation to food or gastronomic concepts. The Silence Meal suits Zagreus’s approach perfectly. The Silence Meal will last approximately 1 hour. Each performance of the Silence Meal will be documented and become part of the continually evolving exhibition programme of the Silence Project. The Silence Meal is sponsored by Iittala.